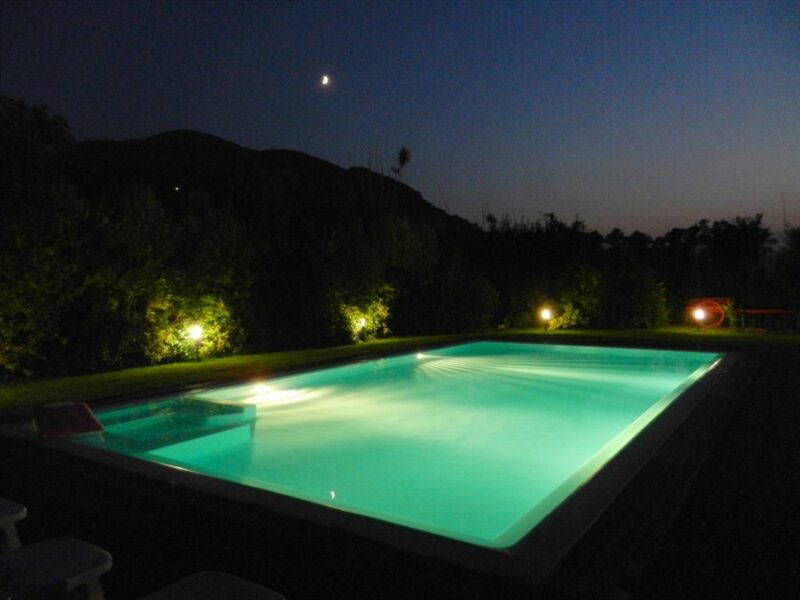 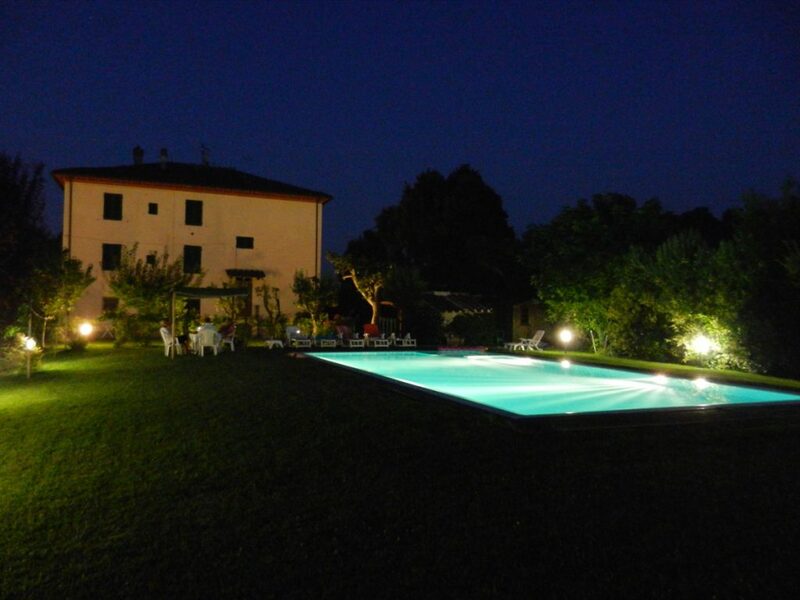 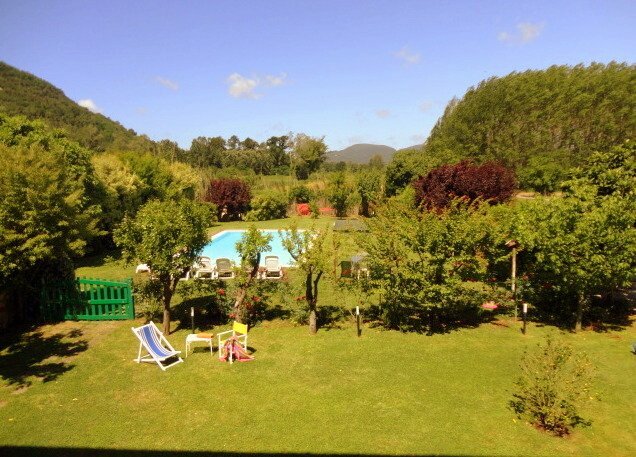 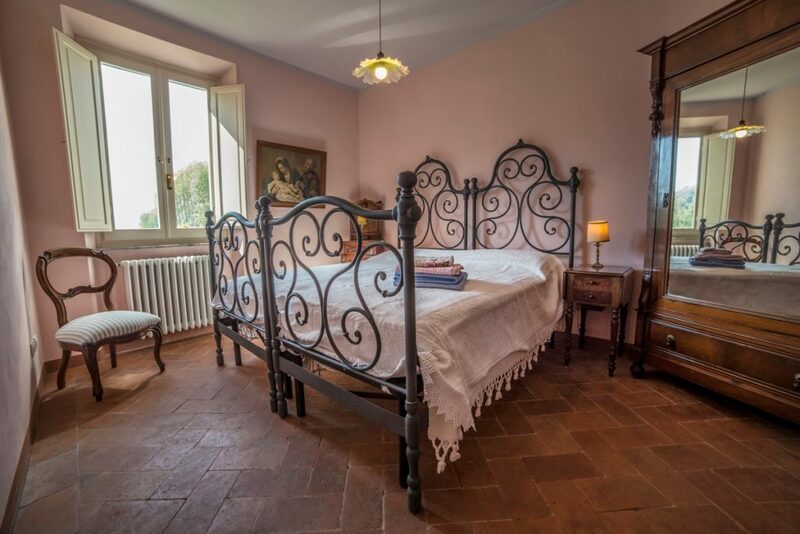 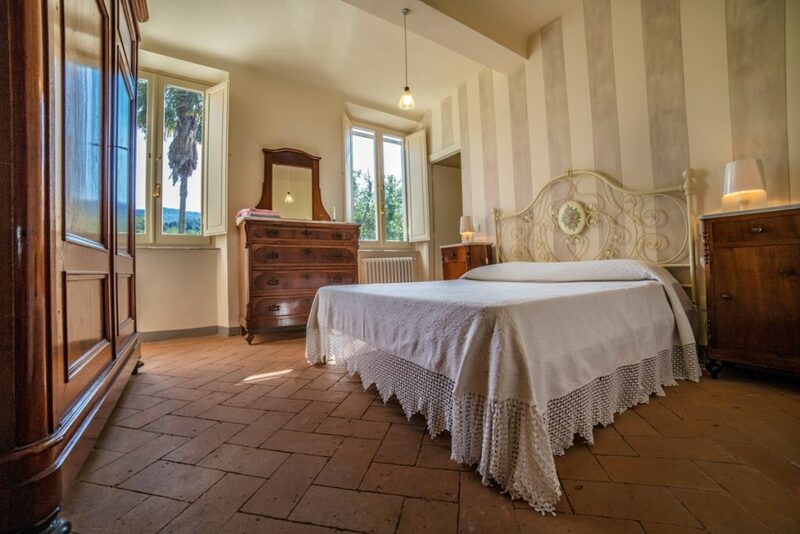 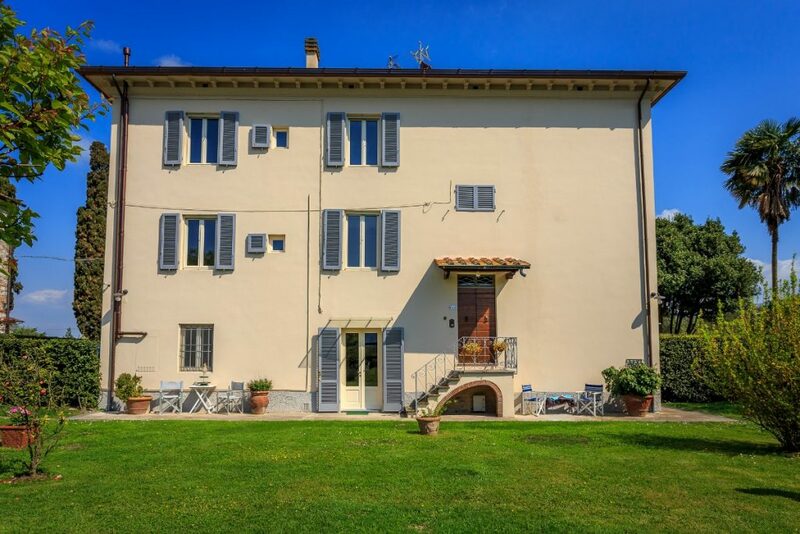 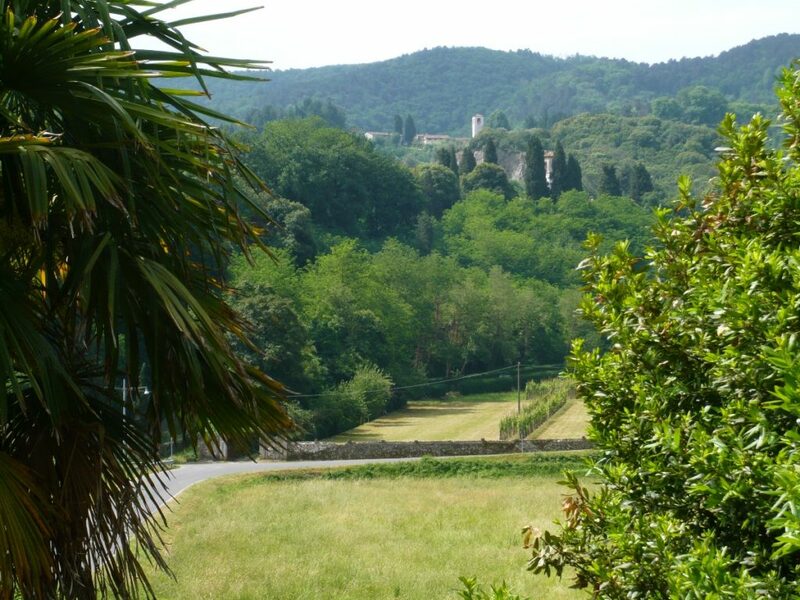 House of the 18th century recently restored set in the countryside at the foot of the beautiful hills east of Lucca (3km) and enjoys a very favorable position to visit other cities of artistic interest such as Pisa and Florence. 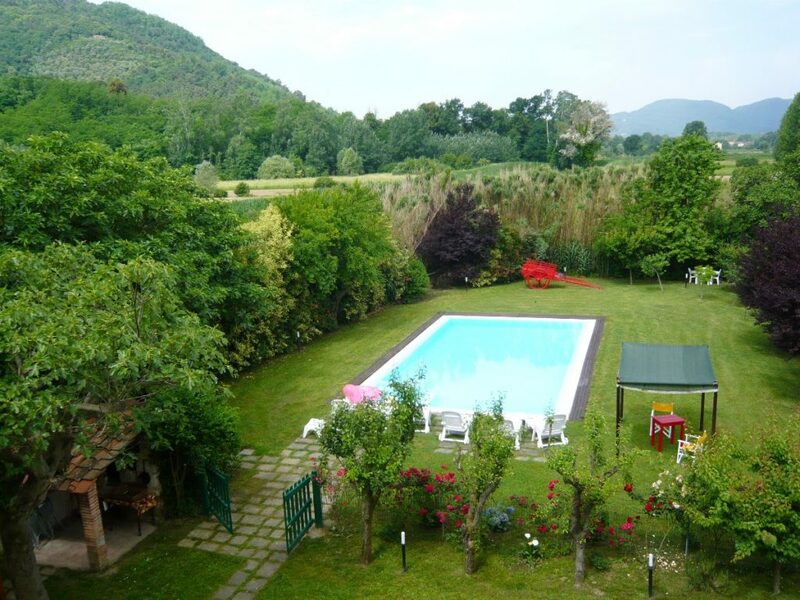 Private fenced swimming pool and garden. 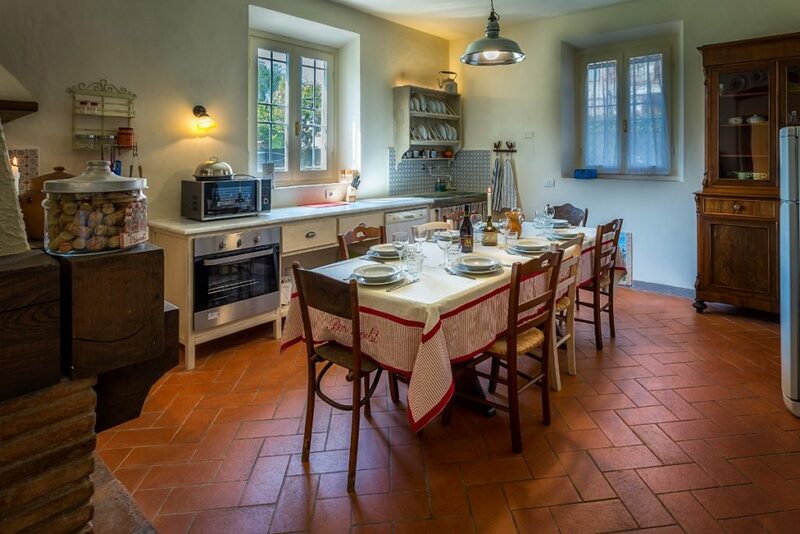 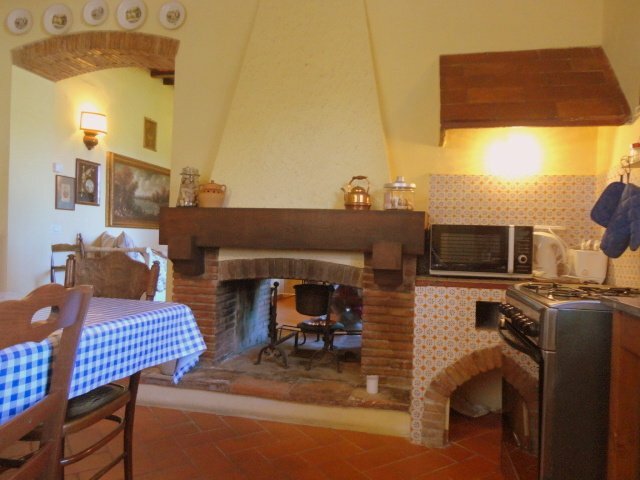 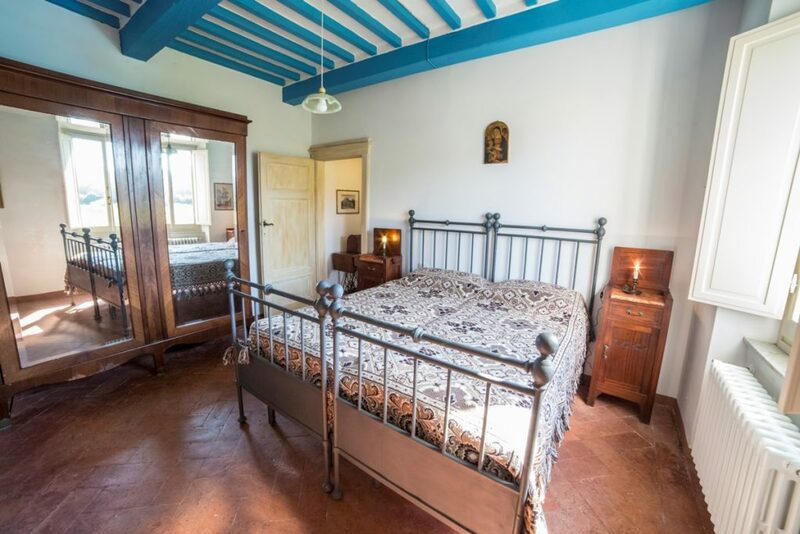 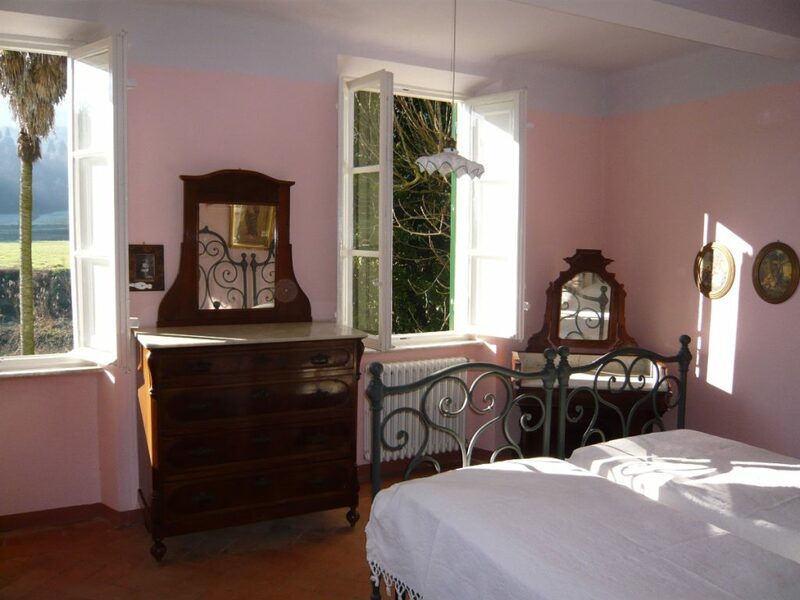 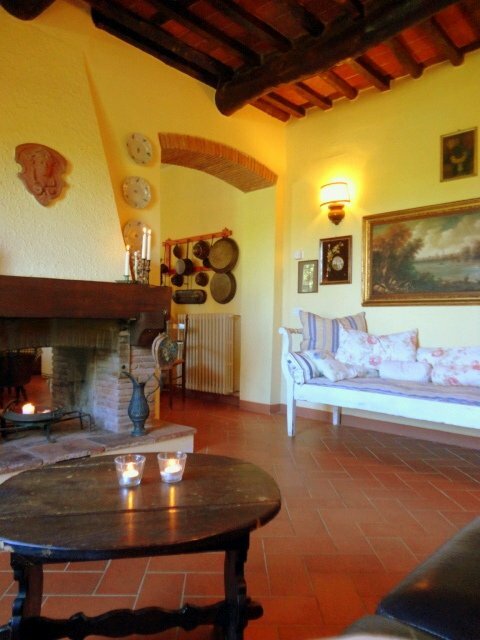 Casa Gemma is a semi-detached house built in 1800 just restored in rustic Tuscan style and equipped with modern comforts. 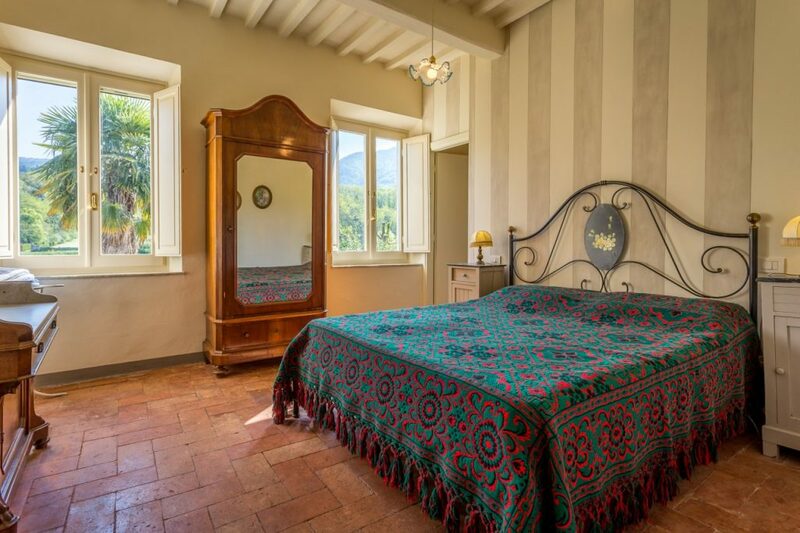 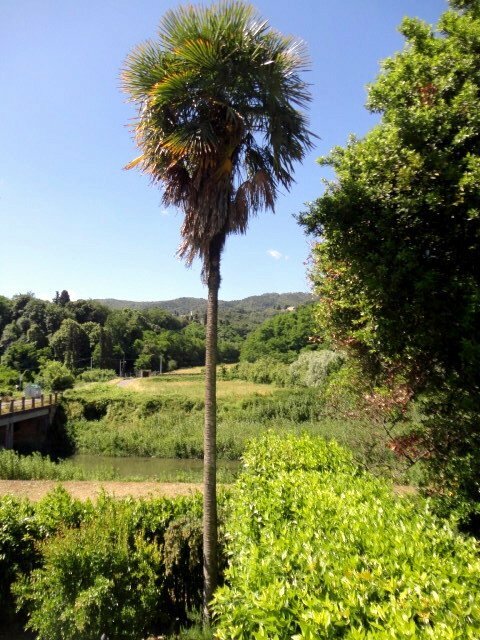 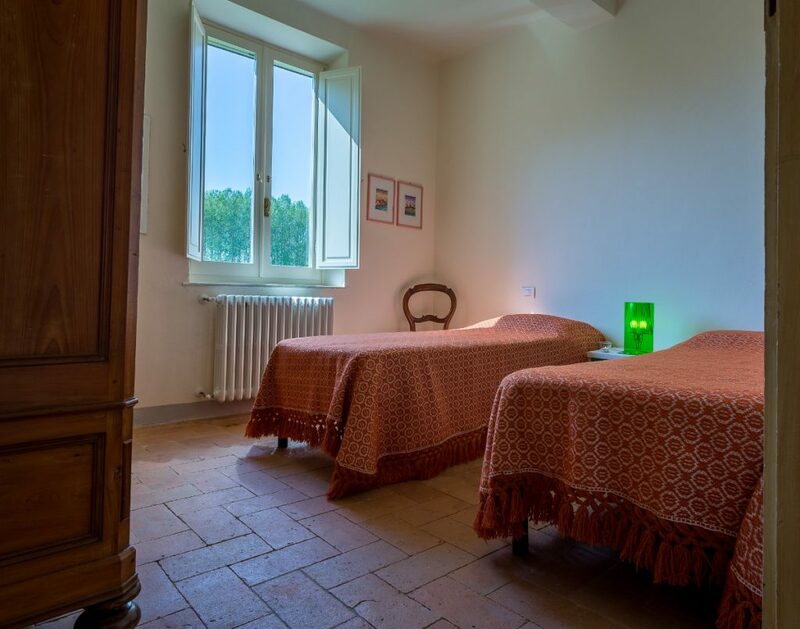 It is set at the foot of the beautiful hills east of Lucca and enjoys a very favorable position to visit the beautiful medieval city of Lucca (3km) and other cities of artistic interest such as Pisa (20km), Florence (60Km) and the beach coasts of Versilia (20km). 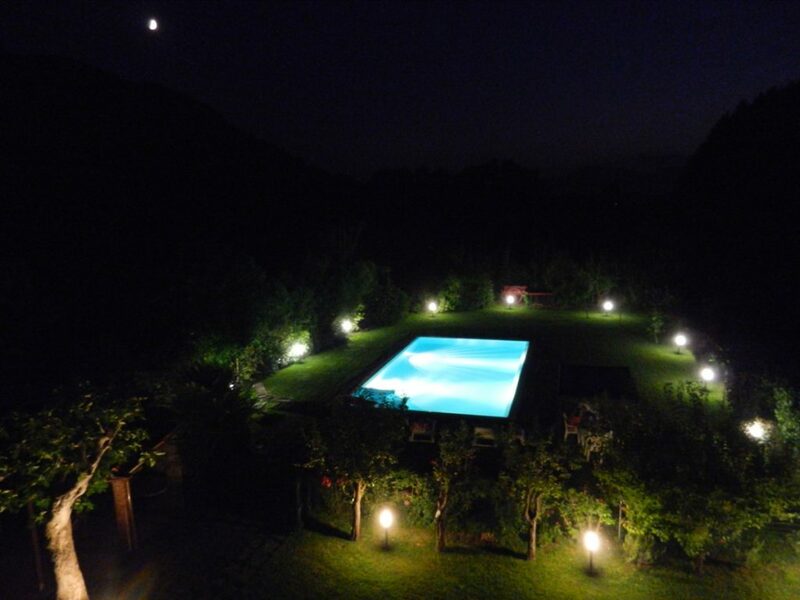 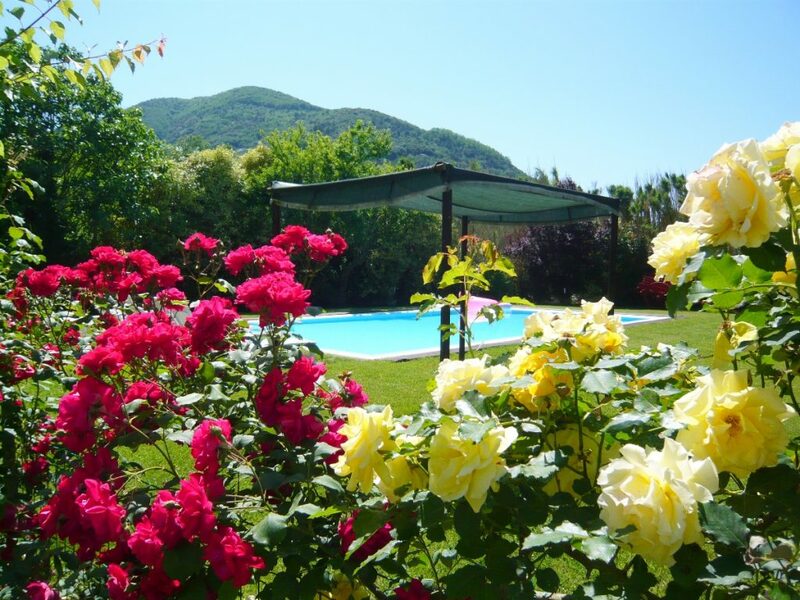 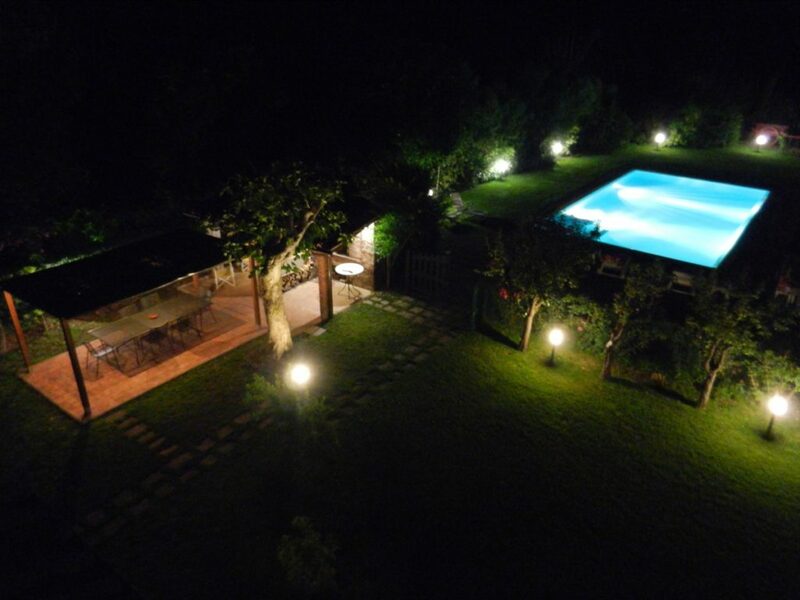 The house is located in a village context, enclosed by hedges, with a large garden of 1500 sqm and a private pool (6mtx14mt) for the exclusive use of the guests which is also fenced. 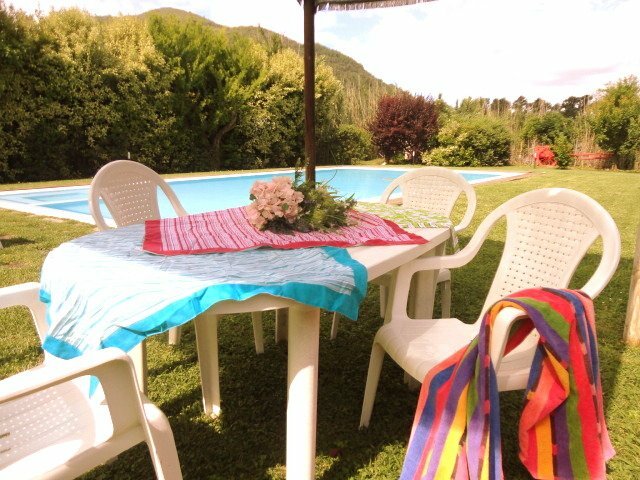 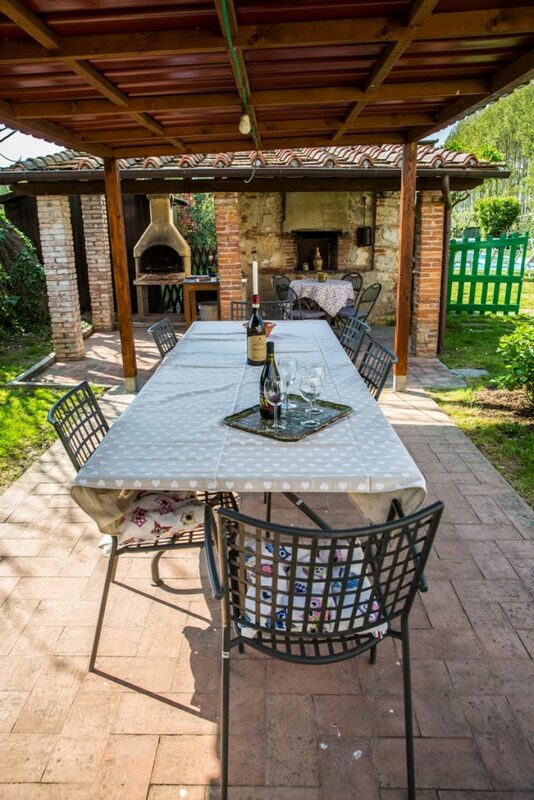 Outside is equipped with a veranda where you can spend pleasant evenings outdoors and use the barbecue and pizza oven. 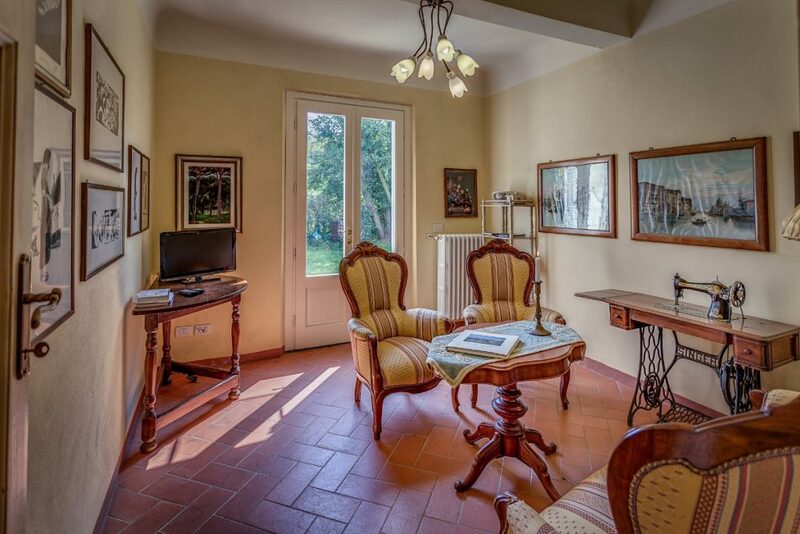 Inside the house has an entrance / living room, a fully new and well equipped Kitchen with a table and chairs, and a room with sofas and TV. 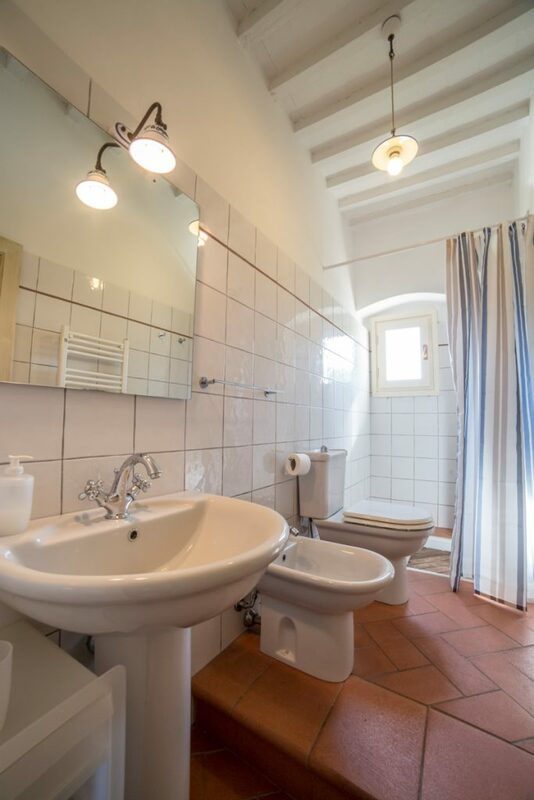 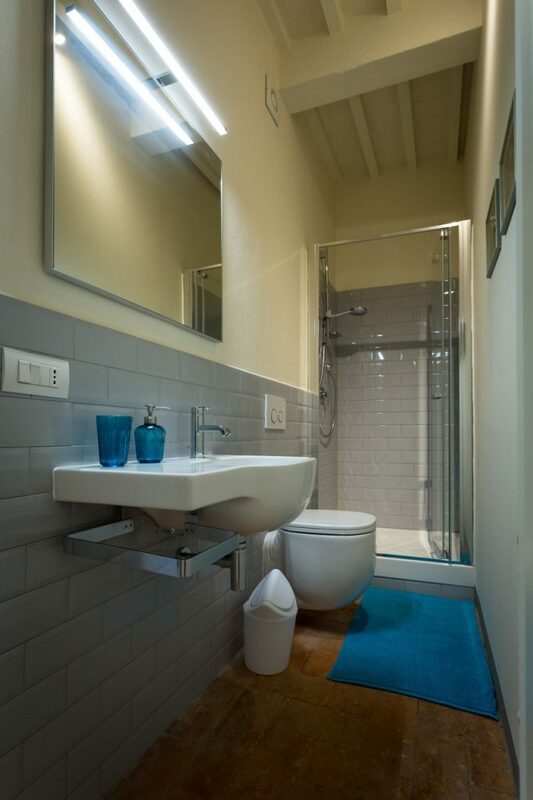 On the first floor there are 1 double bedroom with en-suite bathroom, two double bedrooms and a bathroom; at the second floor there are 2 double bedrooms each with ensuite bathroom and a small living room that separates the two bedrooms. 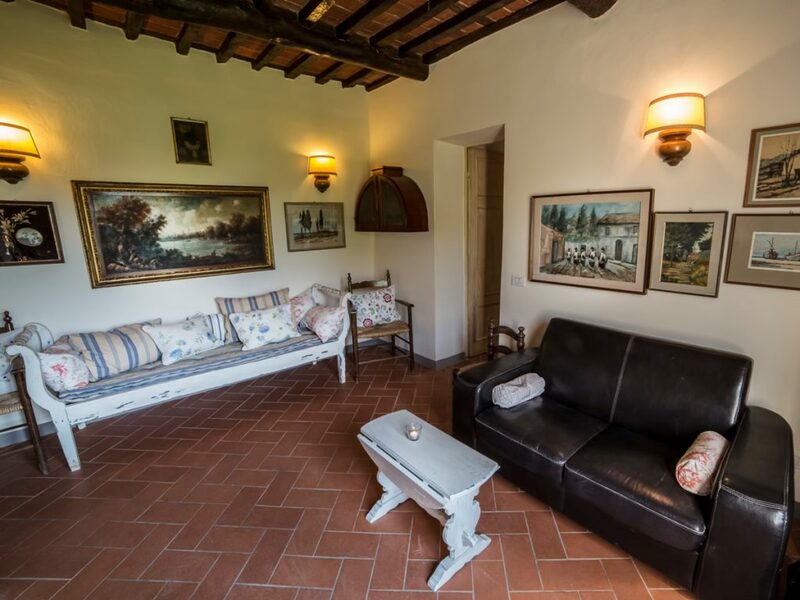 Part of the house was renovated in early 2015 and made even more comfortable. 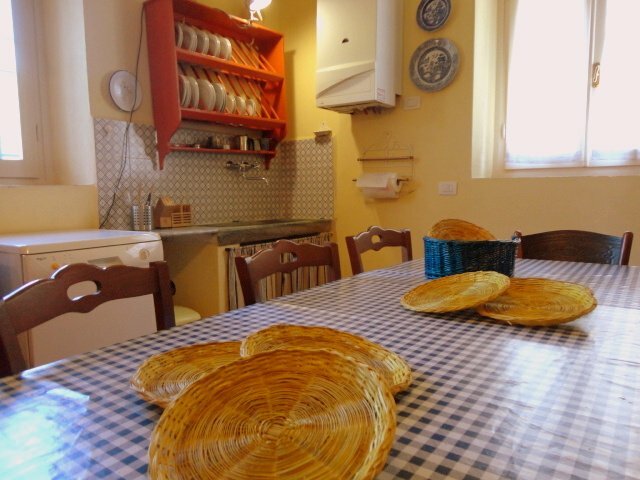 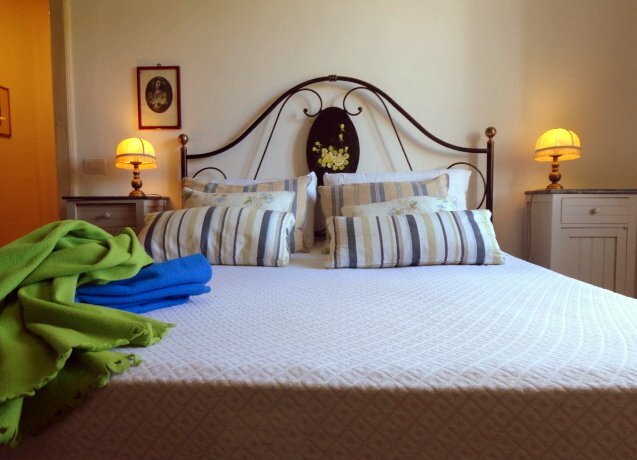 The house is equipped with heating and can be rented in the winter months. 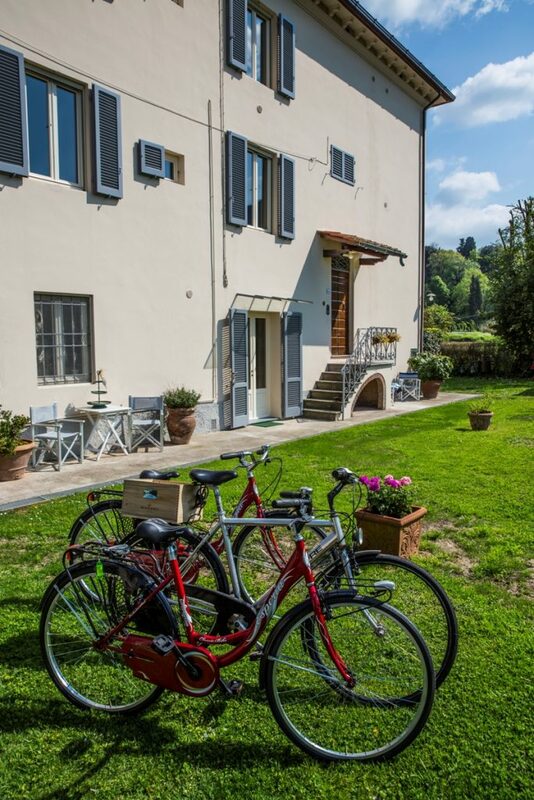 Provides 2 bicycles with which you can organize nice trips around or reach the center of Lucca.